A two thousand year old public bathhouse from the Roman period is still used by locals in the town of Khenchela, Algeria. Most of the bathhouse has been preserved, but the ancientness of the place is still apparent in the architecture. 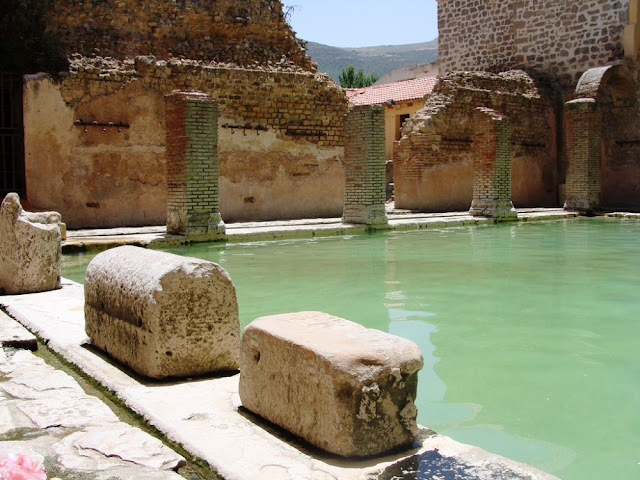 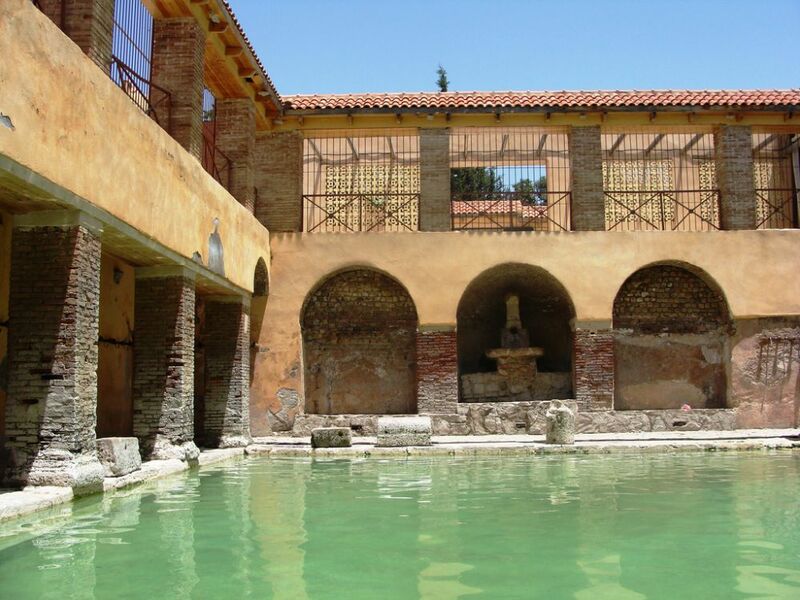 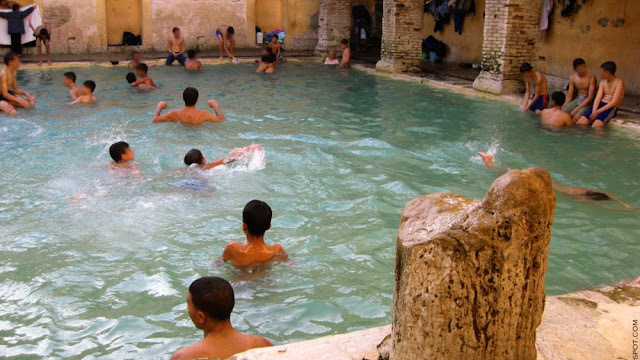 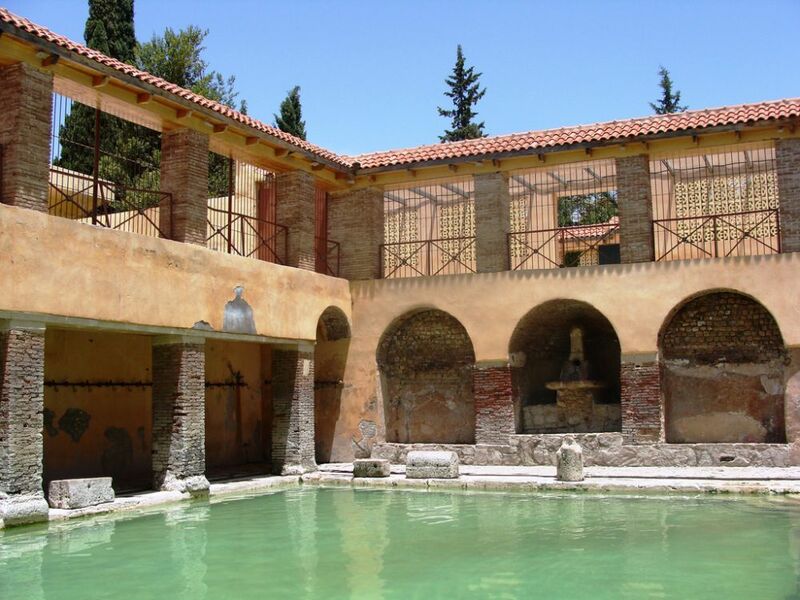 Algeria has hundreds of hot springs or fountains that back to thousands of years. 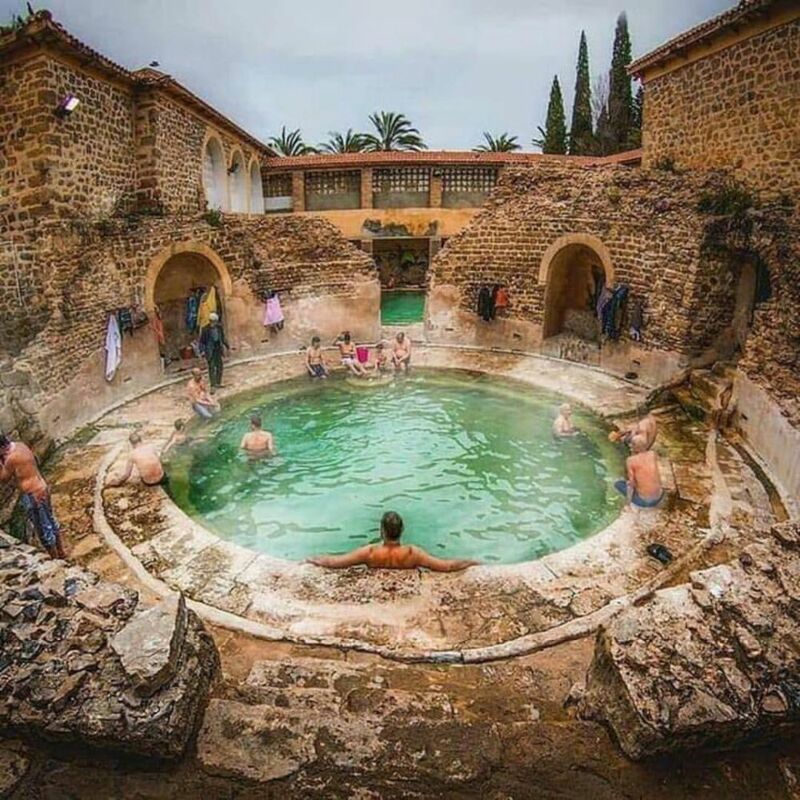 The most famous one is Hammam Essalihine (the bath of the righteous or thermal baths of Flavius) which is a tourist and therapeutic site that is situated in the middle of an enchanting mountainous and forested region (Aures Mountains); precisely in "El Hamma" district, 7 km from Khenchela, an Algerian province. 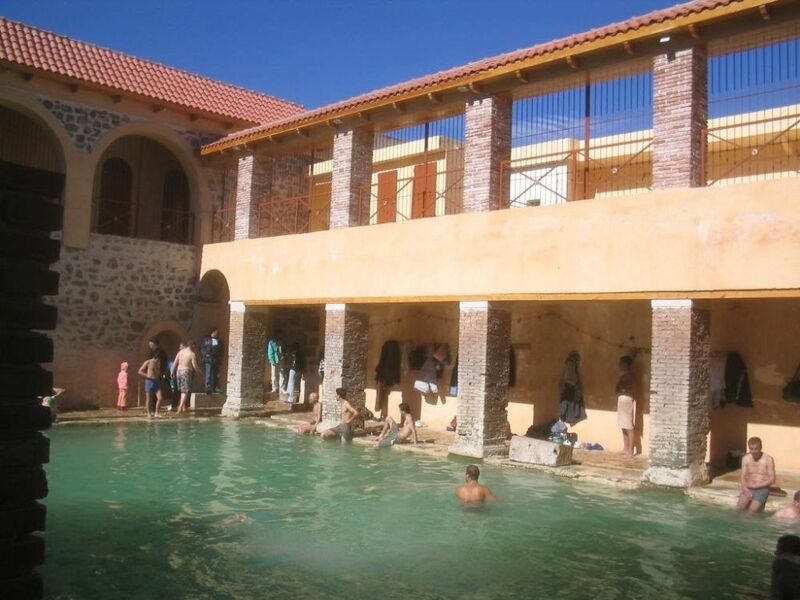 The bathhouse in Khenchela was repaired and renovated after it was reportedly damaged in an earthquake during the 14th century. Ottoman workers repaired the bathhouse using bricks after the earthquake, and even more recent additions include doors for the changing rooms to add privacy. 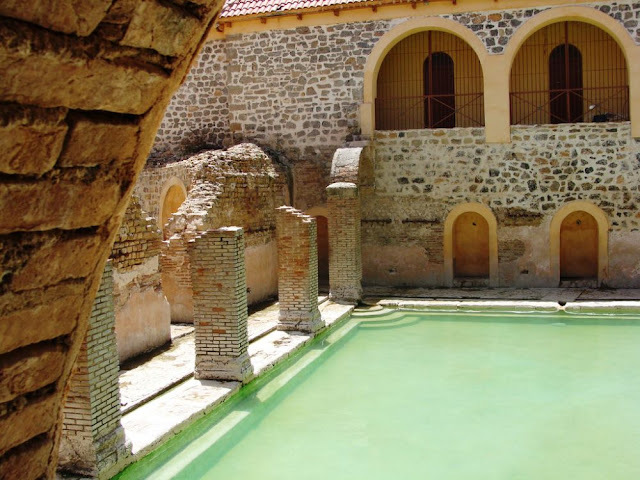 Hammam Essalhine spa is known for the therapeutic virtues of its waters. Its water is so pure and very rich with minerals, and its temperature is around 70°C. 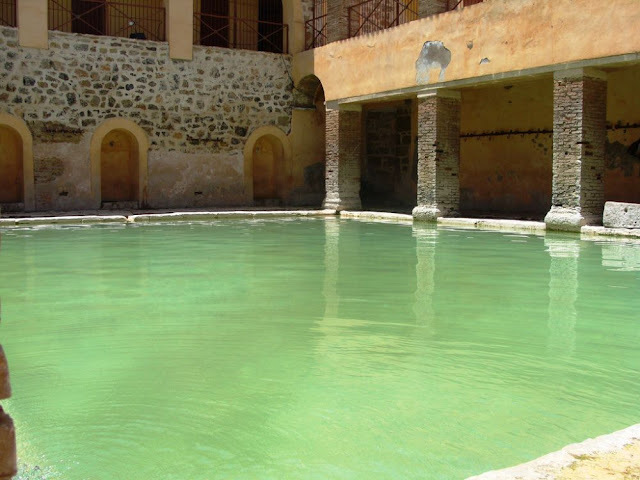 The water’s chemical composition gives it therapeutic properties indicated for rheumatic, respiratory and dermatological diseases. 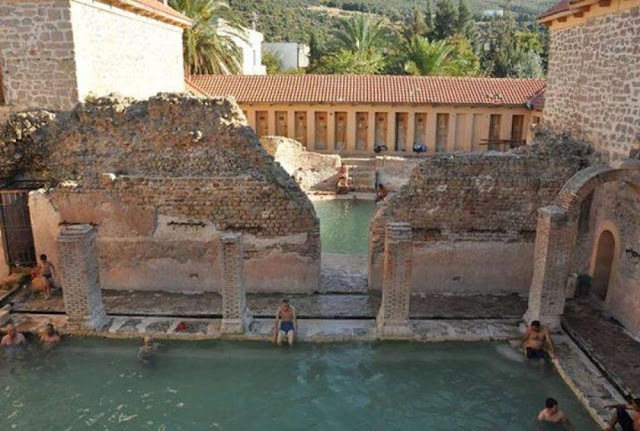 In addition that this resort can treat several diseases, it offers all the appropriate treatments like relaxation, massage and functional rehabilitation equipment, in addition to the hydrotherapy sessions offered by a couple of physiotherapists. 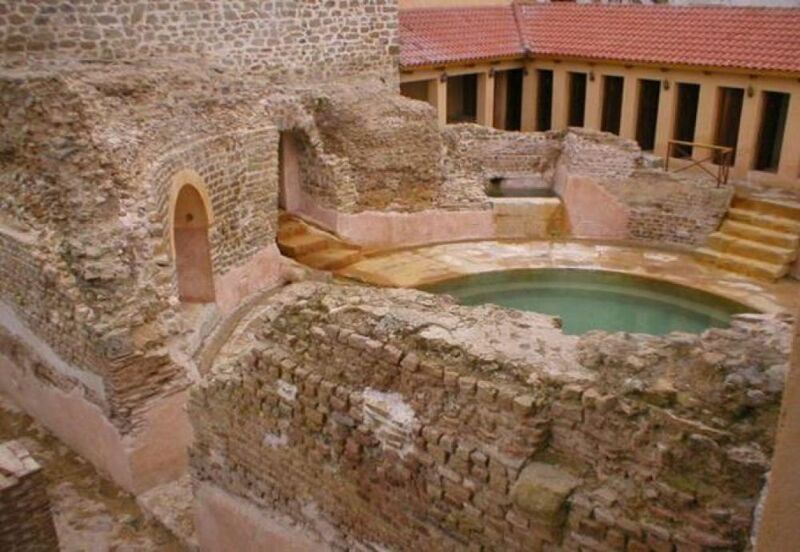 In this spa, there are two pools; the rectangular pool and the circular pool, one for men and the other for women, with eight meter in diameter and a depth of 1.45 m, as well as 44 thermal cabins. 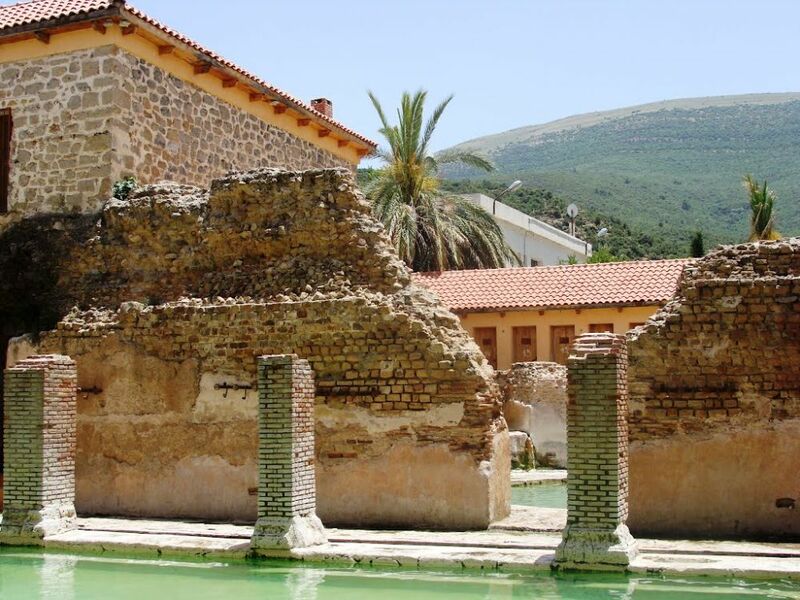 Despite of the historical importance for the region of this tourist structure, it lacks a lot of infrastructures. 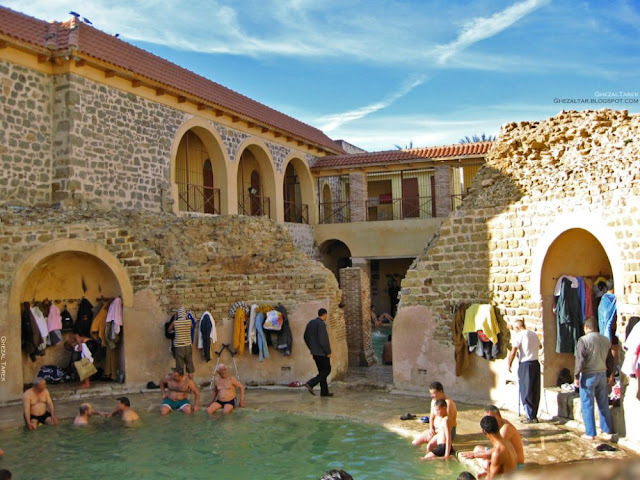 The traditional public facilities continue to be used as part of the daily bathing ritual, where local people can use the free source of hot water to clean themselves. Bathhouses are also used as a social gathering place to discuss matters of importance in a relaxed and sometimes jovial environment. Topics of discussion range from sports, gossip, jokes, and to a lesser extent politics and war, which remain controversial issues.